This is the first report in the Connected World Market Insights Series. The application of digital communication and automation technologies to energy networks is both revolutionizing the way that utilities, industry and startups involved in these networks do business and opening up possibilities for new entrants. This new process leads to greater levels of control of energy flow, which users can tap into, enabling greater integration of distributed generation and storage, greater energy savings and greater system resiliency. In October 2012, Market Intelligence (MI) released a white paper on the market opportunity in making energy data accessible. From there, Ontario’s Ministry of Energy and MaRS moved quickly to bring Green Button to the province, with Download My Data, a secure data transfer directly from the utility to the customer in a consistent format. The Green Button standard was released in Spring 2013; it allows energy usage information to be shared in a common format (XML), just 24 hours after usage occurs, complete with privacy measures. So far, the data standard only applies to electricity—but it can be expanded to gas and water data too, and it is relevant for residential, commercial and industrial market segments. The Connect My Data (CMD) pilot, an automated, secure electronic data transfer from the utility to a third party, based on customer authorization, is currently underway. The CMD pilots have been implemented in London Hydro and Hydro One’s service territories and will run for 12 months. The main objectives of the pilots are: to test the implementation of the Green Button standard; to undertake a comprehensive process review; and to document the findings to help other utilities and solutions providers learn about best practices and lessons to consider when implementing the standard across Ontario. As more objects become embedded with sensors and begin to communicate, the amount of data generated becomes massive. We end up with complex information networks that “promise to create new business models, improve business processes, and reduce costs and risks.”3 Table 1 describes this promise in more detail. Embedded sensors and communication capabilities are key components of a larger trend: the connection of the entire world into a single data network. It’s the analysis of this data that presents the greatest business opportunity. Table 1: The promise—emerging applications in information and analytics, and in automation and control. The use of data to make informed decisions is not new. Business analytics started in the 1950s, thanks to the tools developed to objectively create, capture and consolidate large quantities of information—tools capable of pattern recognition, and that leveraged the power of early computers. According to Thomas H. Davenport in the Harvard Business Review (2013), during this period, datasets were small and static, and the biggest problem was that analysts spent more time preparing data than analyzing it. Then the Internet came along. Companies such as Google, eBay, Amazon and Facebook started collecting data, and transforming that information into insights about their users. This process, referred to as “found data,” and considered a sub-segment of “big data” by some analysts, is based on web searches, credit card payments and location information gleaned from mobile devices pinging the nearest cell tower. Today, even more data is being added to the mix. 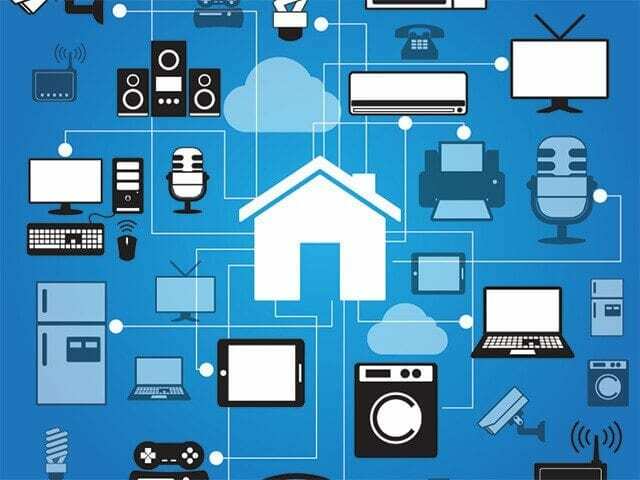 The Internet of Things (IoT) is finally delivering on the promise of connected devices. The connected world is happening at the macro level—integrating infrastructure systems such as electricity, gas and water networks—and at the micro level, with sensors that have personal impact, such as counting steps or monitoring heart rates. According to the market research firm Forrester, the possibilities for data connection and integration are expanding, ranging from connected, monitored healthcare delivery to “cold chain” delivery for suppliers of perishable goods to platforms for consumer energy monitoring. Cisco Systems Inc., a global communications and information technology company, puts the entire value of the Internet of Everything (IoE) at $14.4 trillion in net profits over the next decade (see Figure 1). In comparison, the IoE is the smart networks that support all the data from the billions of connected devices that makes up the IoT. According to Gartner, vendors in the IofT sector will have revenues for $309 billion by 2020, while the overall economic impact is estimated at $1.9 trillion. Currently, the highest potential of the IoT resides in transportation systems, facility management and surveillance. Home management, smart products and energy management still face some market barriers, such as uncertain returns, regulatory requirements, consumer adoption and so on (Forrester, 2013). Nonetheless, the Ontario government and key market players are working to alleviate these barriers. Currently, the IoT works by connecting big data sets from multiple sources, creating repositories of data that can be combined and then analyzed, producing insights. Those combinations of data sets can provide the type of knowledge from which businesses, governments or users may benefit. One of the most promising aspects of data collection efforts is the ability to identify patterns of behaviour faster and cheaper. Eventually, these patterns could help governments, companies and users to make better decisions. For example, in the case of smart farms, the data collected about soil, weather, markets and other variables could facilitate the farmers’ crop selection and planting schedule. Similarly, smart energy networks could help commercial and residential properties owners and residents achieve energy savings by reducing consumption at peak hours. That’s one of the biggest incentives to make the IoT a reality: the possibility of finding efficiencies by analyzing all users’ data. However, having more data does not necessarily mean making better predictions or, by extension, a better decision-making process. Finding patterns is a difficult process, but in the case of the connected world, the situation is more complex. Today there are no unified standards for data collection, so the process of connecting devices becomes difficult. Data collection is done through different technologies and platforms; for example, with meters at the infrastructure level or with sensors at the product level. More importantly, there has been little interest in or adoption of these methods by companies because of a “variety of concerns ranging from the security of new data sources and aggregated data storehouses, to the cost and technical immaturity of connected world solutions, to a lack of business justification for implementing such systems,” according to Forrester. Furthermore, security and privacy concerns need to be considered in the process—something Ontario has taken into account in the Green Button standards that made meter data accessible to Ontarians. Data from the IoT is harder to combine. For example, according to Forbes contributor Dan Woods, data will flow from sensors to big lakes of data. “The next step will then be to hive off portions of the data, most likely in combination with other data to enrich it to create models of activity that can be used for automation and analytics.” In this scenario, data moves in various directions (in and out of data warehouses), while new data sets are created from analytics. Furthermore, to be effective, data in the IoT needs to be processed in real time, shared across organizational boundaries, be of various sources and types, be combinable and exchangeable, and must be global (or shared across greater regions). In Ontario, some of the initiatives include Advanced Metering Infrastructure (AMI), with the Meter Data Management Repository (MDM/R) and smart meters. To date, 4.8 million homes and commercial facilities under 50 kilowatts (KW) in the province have been outfitted with smart meters. The opportunity now is in moving to real-time data, and in expanding the MDM/R (or developing another repository with some other third party) to contain further sources of data, such as gas, water, weather, health, building and population, and so on, ultimately creating a one-stop shop for third-party application developers. Connecting data will allow businesses to identify productivity and growth opportunities, underpin innovation and create consumer surplus. In a nutshell, companies would be able to increase their competitiveness. The value of real-time data is that it enables near-instant response to data-driven insights developed in real-time. This is data made actionable. The more connected our homes and businesses become, the more datasets become available for analysis. In the case of energy, the more real-time this data is, the greater the potential for deeper energy savings—something we hope to prove by the end of our series. The insights derived from this data can save more than just energy. In a series of future Insight Papers, we will examine the opportunities in our connected world, looking across multiple market verticals, including healthcare, energy and transportation.